Today, Mehrasa and I presented at Kobe JALT Tech Day 2017. We introduced the following tech resources we used in our blended course, Osaka University Global English Online (OUGEO). update: I received 74,192 yen from Takemura Lab, Osaka University, and 40,000 yen from the EUROCALL members. In total, I paid around 150,000 yen (translation fees included) and I was reimbursed the sum of 114,192 yen. I’d like to thank my supervisor, Prof. Takemura and the EUROCALL community for their support. Together with Mehrasa, we attended EUROCALL 2015 in Padova, Italy. This is how I became a EUROCALL member and got connected to the community. We submitted two abstracts to EUROCALL 2017 to present the results of our joint PhD project, titled Osaka University Global English Online, and shared it publicly on Facebook. Both of our submissions got accepted and the UK visa journey then started. Mehrasa and I applied for the visa on May 25th, 2017, and we both got rejected. We announced the rejection publicly on Facebook. It is worth mentioning that we submitted a confirmation of invitation letter from the conference chair, Kate Borthwick, confirming that we have been invited to present our Research and Development papers at the EUROCALL 2017 conference. Our supervisor, Prof. Haruo Takemura, also wrote a letter and guaranteed that all the travel expenses to attend the conference are covered by Osaka University. Our documents were the same to a large extent except for my marriage certificate and our bank transactions. I had worked part time at a university as an English instructor and I had received about 180,000 yen (1200 GBP) monthly from April 2017. Our scholarship (148,000 yen, 1000 GBP) is fixed, and I wrote in the application form that I had worked part-time and provided a copy of my contract in English. I announced the second rejection on Facebook. I applied for the third time on August 2nd, 2017. I submitted an extra letter I received from one of the coordinators of the EUROCALL Special Interest Groups (SIG), Mirjam Hauck, in support of my application for a visa to enter the UK so that I can be elected into my new role, secretary of the EUROCALL Graduate Student SIG, during the meeting on August 24th in Southampton. I got rejected for the third time, and wrote on my Facebook page that I will be at the EUROCALL 2017 conference in spirit. Here you can find my “Refusal of Entry Clearance” letters. Feeling disappointed but hopeful, I decided to attend the conference online! I started checking the conference hashtag, #EUROCALL2017, every second, and I could connect to the conference by tweeting, retweeing, and communicating with the twitterers. Periscopes also really helped me keep connecting. I also created a list of tech tools based on the EUROCALL abstract book and asked the twitterers to help me complete the list. I was able to attend my sessions via Skype with the help of the EUROCALL organizers and my friends who set up everything before my presentations. Here I share some of the schreenshots. You can see excitement in my face! I installed the app of the conference, virtually “checked in”, and stayed in touch with the attendees there as well. I know Shannon from EUROCALL 2015, and since then I stayed in touch with her through Facebook and Twitter. She contacted me on Twitter and said that she wanted to mention my story in her keynote and the challenges I had faced in trying to come to the conference. I asked Mehrasa to get online on Skype to be able to listen to Shannon. Then, I saw Shannon’s tweet sharing the livestream link for her keynote “Looking to Fandom in a Time of Change”. Shannon started with talking about the Trump travel ban and recounting the story of a researcher, Shahlah Adi, who could not attend the CALICO 2017 conference because of the ban, and then my story. I was in tears and touched by her powerful talk. I filmed my screen and you can watch the video here. Louise Ohashi (Associate Professor, Meiji University, Japan) is a close friend and I know her through JALT (Japan Association for Language Teaching). After Shannon’s keynote, she made an appeal (click here to watch the video Mehrasa took while Louise was talking) to the EUROCALL community to support me, and she collected about 350 (GBP) to cover my visa application fees. In total, I paid around 150,000 yen (1000 GBP). Each round cost 21,000 yen (150 GBP) and for the third round I paid 30,000 yen (215 GBP) extra to use priority service. The cost of translating my documents was also about 40,000 yen (280 GBP). “Dear Parisa, I have attended the EuroCALL conference in Southampton (only for a short time on Friday afternoon) and participated in Shannon Sauro’s Plenary Speech in which she talked about the details of how your visa application has been rejected 3 times. Until recently you were in my friend list at least this is how I remember it. Anyways, I just wanted to let you know that many people were disappointed to learn about what happened to you in this process. I really hope that you this frustration will somehow turn into an opportunity for you. I really do! One thing for sure is that you are very popular now among CALL researchers 🙂 I wish you best of luck in everything.” (Ali sent me this message privately and I asked for permission to publish it here). Despite being denied, this was the story of my presence at EUROCALL 2017. Words fail me to thank all those who cared about my story, supported me along the way, and helped me cross the borders and be there. Keep calm, stay positive, take action, and share your story! One of the reasons I don’t consider doing my PhD in Japan as a waste of time is that I learned how to define, manage, organize, and track projects. My PhD project is focused on designing, developing, implementing, and evaluating an EGAP (English for General Academic Purposes) online course, entitled Osaka University Global English Online (OUGEO), targeting Japanese learners at Osaka University. Based on a needs analysis, the course was designed and developed guided by theoretical frameworks and models for online course design. OUGEO was implemented in the spring semester of 2017 (April–July), and offered at three levels (elementary, intermediate, and upper intermediate), each level containing 10 online and 5 face-to-face sessions. As Aaron Hogan truly tweeted, “Twitter is not going to change your life, but the educators you meet there will!” Recently, I have become active on Twitter and had the chance to get connected to teachers, researchers, and educators from different parts of the world! This is how I got to know Phil Longwell, also known online as ‘Teacher Phili‘. 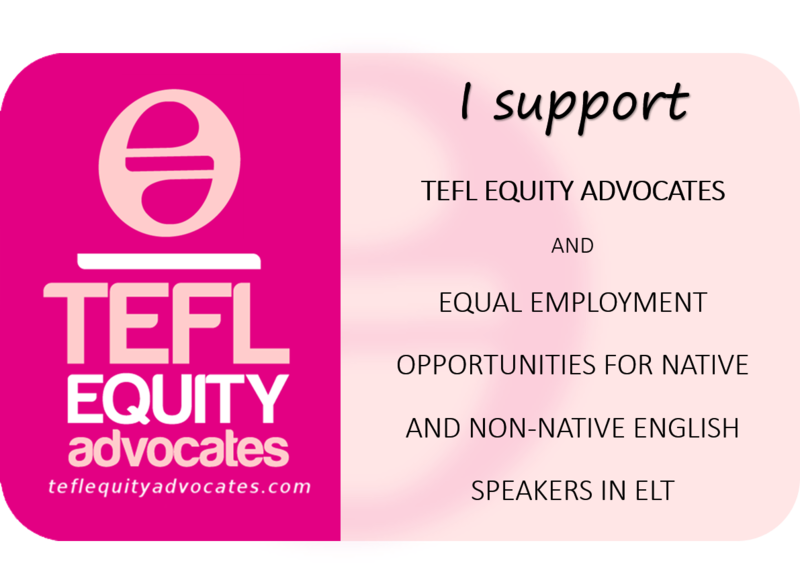 He kindly invited me to write a blog post for the IATEFL Learning Technologies Special Interest Group (LTSIG). Together with Mehrasa, we wrote a post on Mixed, Augmented, and Virtual Realities (MAVR). We first defined MAVR, and then introduced some apps that help teachers bring MAVR to their classrooms. Following that, we shared our experience using BlippAR, an AR application, to augment poster carousel tasks in our blended English course (Osaka University Global English Online). Finally, we introduced the JALT MAVR SIG, which aims at promoting MAVR technologies in teaching and learning, especially in language education. You can read our blog post, titled “How to Bring Mixed, Augmented & Virtual Reality to Your Classroom”, here.